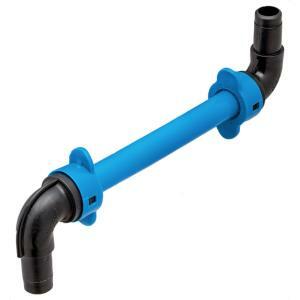 Hydro-rain blu-lock street ell assembly - size : 6" x 1/2"
The Blu-Lock Street Ell Assembly is used to connect a sprinkler head to the BLU-Lock irrigation system while providing impact protection and three dimensions of adjustment. Hydro-Rain® offers a new and better way for sprinkler installation. 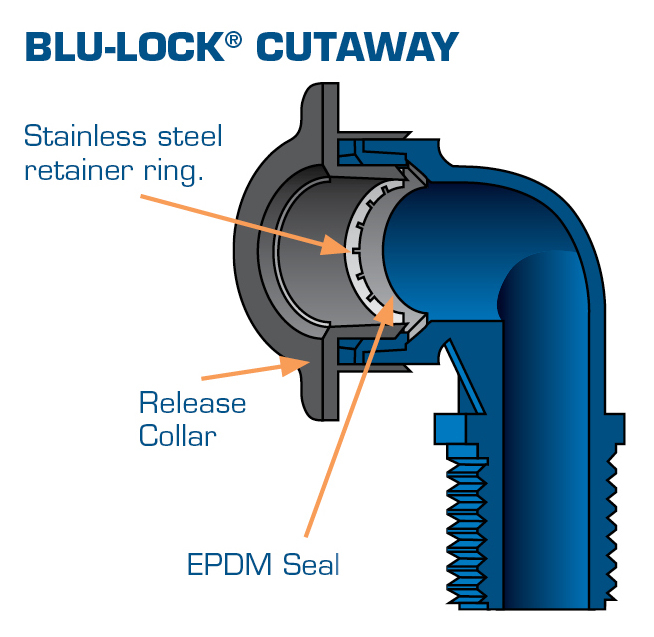 Everything you do from the valve out, you can now do faster and easier with Blu-Lock. With the Blu-Lock system you don't need primer, glue or clamps. *For non-constant pressure valve-out outdoor irrigation connections only. Please Note: Total compatibility of fittings, pipe, manifolds, valves, and saddles within the Blu-Lock family only. Not compatible with PVC or low pressure poly tubing. Do not use for potable drinking water.